Containing entries for more than 45,000 English, Scottish, Welsh, Irish, Cornish, and immigrant surnames, the dictionary is the ultimate reference work on family names of the UK. We all have a surname, but how many of us know anything about its roots – origin, history, and what it means today? Family names are evidence of the diverse language and cultural movement of people who have settled in Britain and Ireland over history. Surnames can be varied, but not uncommon — for example there a large amount of occupational names like Smith and Baker, names linked to a place such as Hill or Green as well as nicknames like Goodfellow and Longbones. In the map below you can explore some of the local surnames across the UK, in current and former counties, from the 1881 census (England, Scotland, and Wales) and in the 1847-64 censuses (Northern and Southern Ireland). The names reflect an abundance of cultural influences, including French, Dutch, Jewish, and Scandinavian. Can you find yours? Featured image credit: Highlands And Islands Scotland by LoboStudioHamburg. Public Domain via Pixabay. This post was written by the Oxford Academic marketing team. 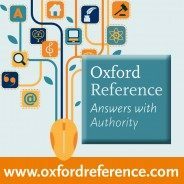 The Oxford Dictionary of Family Names in Britain and Ireland is available in both print and online. Recommend it to your local library today. Sadly, I can never find my mother’s maiden name. Austrian-Polish Cyza. Only 12 families in all of the UK.